Wow, I can’t believe how far along we are in the school year! As our little 2nd graders continue to blossom as readers we have been looking for new ways to help students think more deeply about their reading. 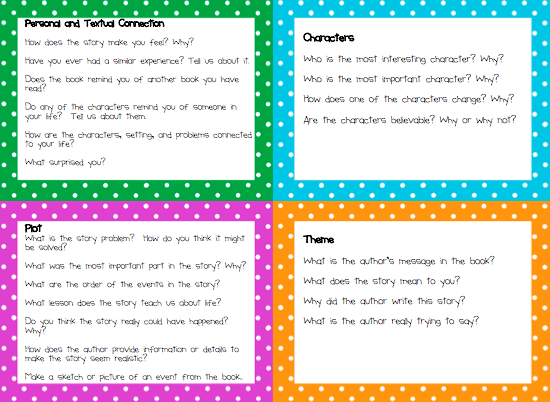 I have created comprehension prompting cards along with several different TIC-TAC-TOE response sheets to help students broaden their critical thinking skills during reading. 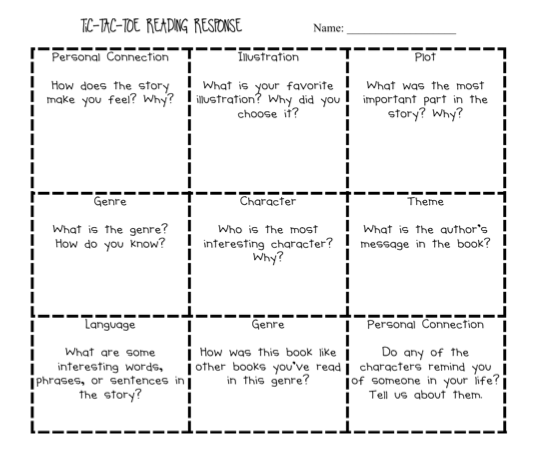 The TIC-TAC-TOE boards can be used for discussion questions about the books you're reading in guided reading or you can use them during a Think Aloud. There are three different TIC-TAC-TOE boards with all different questions for each of the above categories. Try this activity to help your students make meaningful connections to their reading. Students will begin to have a new understanding for reading and broaden their thinking processes about books! Students will be able to think more deeply about text, understand more about a book’s characteristics, and enjoy reading for it’s literary value. 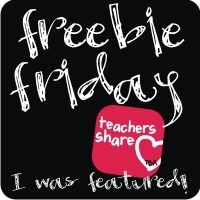 Click here to get your very own copy of these interactive reading prompts! I would love to hear how these prompt cards or TIC-TAC-TOE boards are working in your classrooms!